When you’re accused of a drug crime, it is important to seek an attorney immediately who can represent you objectively and aggressively. At Fiore & Barber, LLC, our Drug Crime Attorneys don’t shy away from giving you the fair defense that is your right. We constantly stay in direct contact with you throughout your case, forming a relationship with you that serves as the backbone of our defense. We leverage our 29 combined years of legal experience and our personal dedication to you to achieve positive results in and out of the courtroom, ensuring that you have better days ahead. People accused of drug crimes face legal penalties ranging from fines to prison time. These penalties depend on a variety of factors, including the defendant’s existing criminal history, the type of drug crime, the type of drug and the amount in possession. However, just because officials charge you with a drug crime does not mean that you will face these penalties. 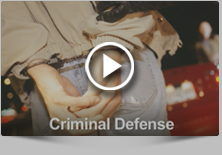 Our attorneys use effective defense tactics to get you a positive outcome. Dismissed cases. We fight to have your case dismissed by demonstrating illegal searches and seizures, improper warrants or insufficient evidence. Softer penalties. We secure lesser sentences, fines or other alternatives on your behalf. At Fiore & Barber, LLC, our attorneys stand beside you and behind you, giving you support and practical advice through the stressful time after your drug crime charges. Let us dedicate ourselves to you and your case. Call us today at 215-256-0205 or contact us online to arrange a free consultation visit. We have flexible office hours for your convenience.